Very easy and simple to use I love it. And always EXTREMELY ACCURATE ! Allows you to add a lot of information with no limit on the number of entries. Good at tracking Asian carriers. Замечательное приложение. Использую с удовольствием. 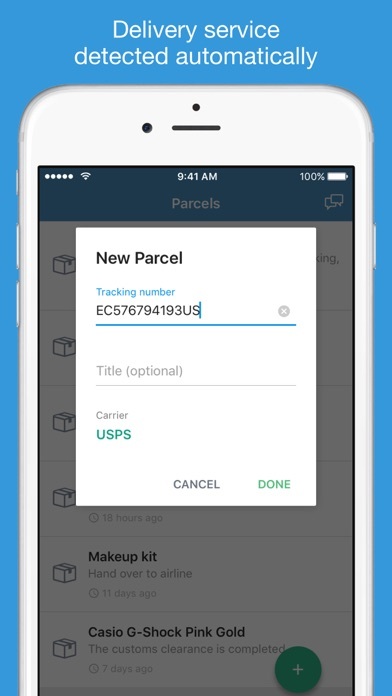 This is a great app to follow all your shipments in just one place! And the paid version is brilliant with the push notification feature which work flawlessly. The developer is very responsive and kind to help with any problem that you might face with your subscription. 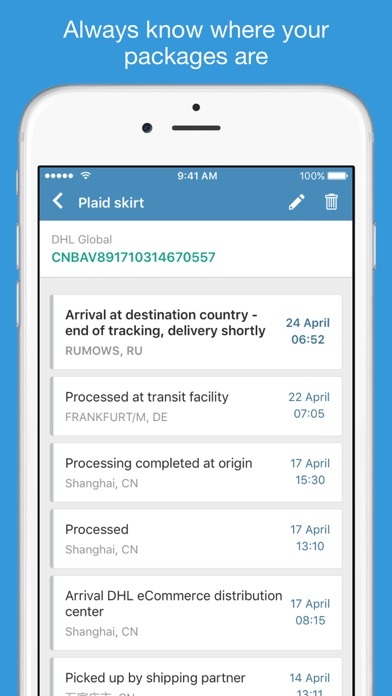 No more wondering (where is my package!!!!) Thank you very much. 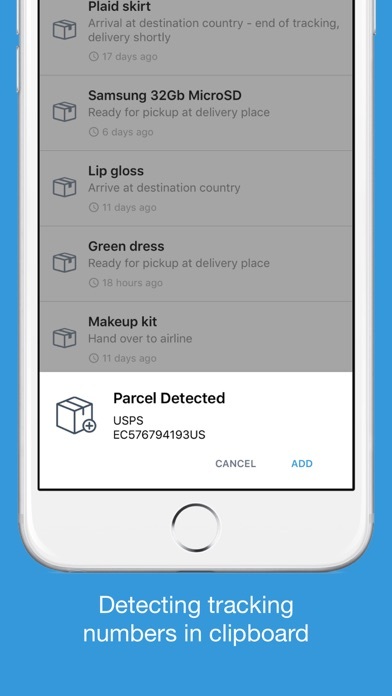 This app is great - it lets me see tracking for all of my eBay purchases (a lot of them are shipped from China.) It also shows me secondary tracking numbers when available. I would give it 5 stars if there was a onetime purchase for a pro version, but it wants me to buy a subscription instead. I need another recurring subscription like i need another hole in my head. Will just have to deal with the ads for now.